(formed from the merger of Air Charter West and Trans National Airlines) (Oakland) 1977 - 1981. Photos. Framable Color Prints and Posters. Digital Sharp Images. Aviation Gifts. Slide Shows. 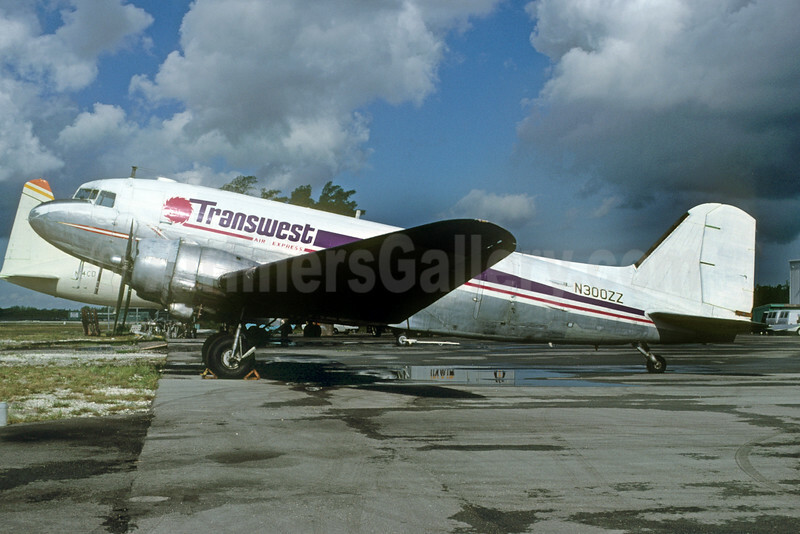 Transwest Air Express Douglas C-47A-DL (DC-3) N300ZZ (msn 9833) FLL (Bruce Drum). Image: 104035.